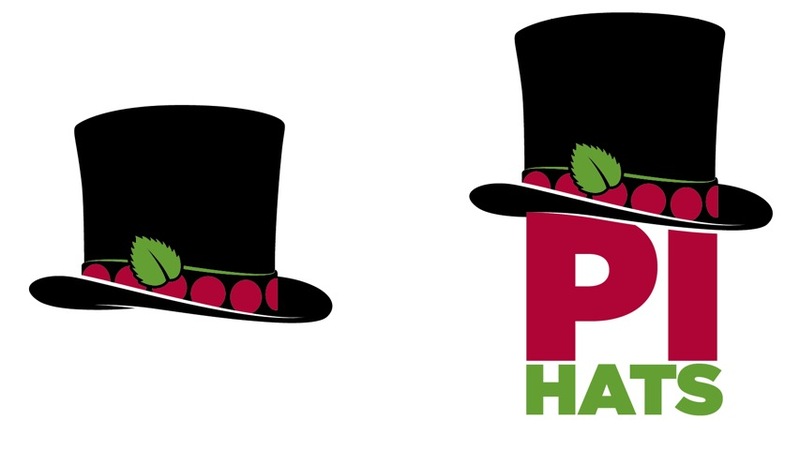 #hataday Capacitive touch HAT for Raspberry Pi @raspberry_pi #raspberrypi #hat « Adafruit Industries – Makers, hackers, artists, designers and engineers! This crazy looking HAT has the MPR121 I2C to capacitive touch chip with alligator-clip breakouts so you can add up to 12 capacitive touch sensors. See all the HATs we got cookin’ here! What’s a PI HAT? Glad you asked! 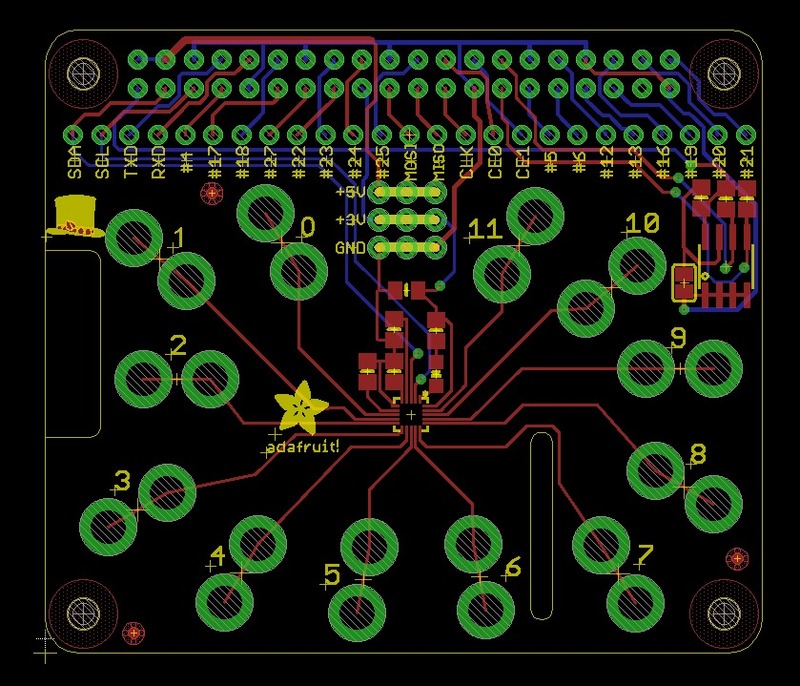 In a nutshell a HAT is a rectangular board (65x56mm) that has four mounting holes in the (nicely rounded) corners that align with the mounting holes on the B+, has a 40W GPIO header and supports the special autoconfiguration system that allows automatic GPIO setup and driver setup. The automatic configuration is achieved using 2 dedicated pins (ID_SD and ID_SC) on the 40W B+ GPIO header that are reserved for an I2C EEPROM. The EEPROM holds the board manufacturer information, GPIO setup and a thing called a ‘device tree‘ fragment – basically a description of the attached hardware that allows Linux to automatically load the required drivers. Read more & spec here.